When it comes to playground construction, safety should come above all else. While children are running and playing, if the ground material is unsafe, the risk of injury increases significantly. 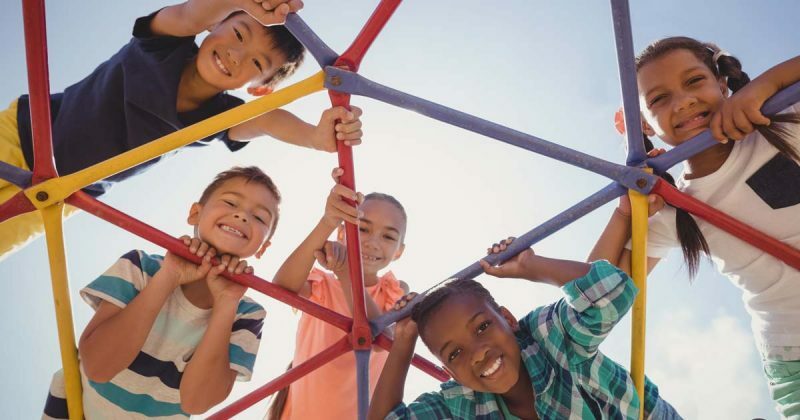 Many different types of materials have been used over the years, and technology advancements are being made to ensure that playgrounds continue to be safe for kids. 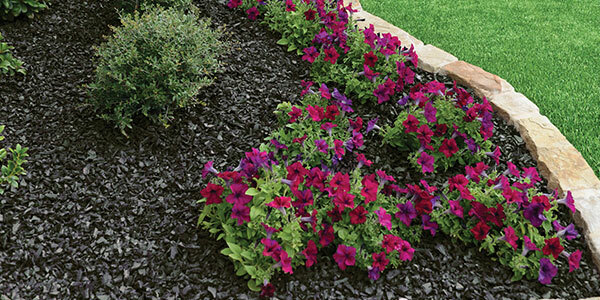 One material stands above the rest: rubber mulch. Many are deterred because of the initial costs of installing it, but over time, the savings from its durability along with the prevention of minor and severe injuries make the material worth the initial investment. Across the country, 80% of playground injuries are the result of falls, so having a surface that is soft enough to absorb impact is essential to keeping children safe. Depending on the height of the playground equipment, rubber mulch should be installed at least 6 inches deep to provide optimum support. Rubber mulch is made from recycled rubber materials which provide a surface that is soft enough to absorb impact from falls while also remaining tough against weather and moisture ensuring that it lasts for years. Often overlooked when planning playground areas, moisture and weather are significant factors in the safety of the area. For instance, when sand or other soil-based surfaces are wet, they can become compacted and reduce the ability to absorb impact from a fall. Also, not all sands are created equal. While some may stay soft, others can become as hard as cement once it’s been compacted over time. According to the Kansas Department of Health and Environment, recycled rubber has been shown to provide safety benefits by providing a cushion in the case of a fall, protecting from skull impacts and other fall-related injuries. 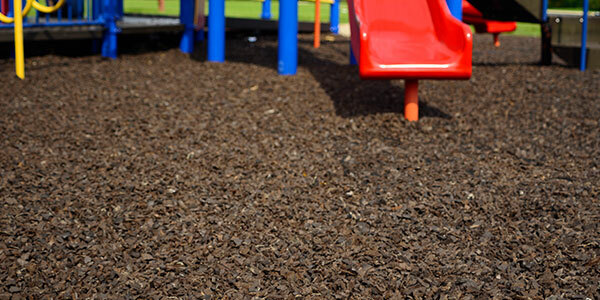 The Center for Disease Control (CDC) conducted a study of common playground surfacing materials and found that rubber mulch performed the best during their safety tests. The most significant reason that rubber mulch outperformed other material is its ability to soften or cushion a fall. When someone falls, the softer, the more impact absorbent the material, the better. Decades ago, it was acceptable for parks to use concrete or asphalt as playground surfaces. Luckily, we’ve moved past these dangerous surface materials in the name of improving safety and reducing injuries. Schools and parks around the world have tried different surface materials including pea pebbles, sand, wood chips, rubber mulch, and rubber tiles. Grass, soil, and other natural materials are susceptible to environmental damages and can become compacted over time. Once the sand or soil is compacted, a great majority of their primary safety benefits disappear. For these reasons, loose materials are the best option, leaving us with wood chips and rubber mulch. Wood chips are touted as being environmentally friendly and cost-effective. While better than concrete and sand, they still present many safety problems. For one, wood chips don’t hold up to moisture well. Whenever it rains, wood chips float, causing them to spill out from the playground area and into the neighboring grass. Also, wood chips soak up water, which will cause the wood chips to rot and deteriorate much faster than other options. Additionally, Wood chips may also contain hazardous chemicals such as chromated copper arsenate (CCA) treatment can pose a potential health hazard. Each year, millions upon millions of tires are thrown away across the country. Rubber mulch provides a practical way to recycle these tires to keep them out of the landfills around the world. Many are deterred from using rubber mulch because they think that rubber tires produce off gases that might potentially harm those that come into contact with the surface. The Environmental Protection Agency (EPA) found in a 2008 study that the concentrated materials found in most rubber mulch products were below any harmful levels, meaning they are perfectly safe for use on playgrounds. Whether concerned with impact absorption, cost, durability or environmental effect, rubber mulch provides more benefits than any other playground surface material. Although sometimes not the cheapest to initially install, due to the sustainability of the materials and the safety functions, rubber mulch practically pays for itself in the long run while ensuring everyone that plays on the playground is protected from serious injuries. Have a big playground project coming up? We have bulk order discounts available, so request a quote today for your project.